If you're looking for a premium sedan with some style, the 2008 Volvo S60's sculpted hood, trunk and aggressive wheel and tire packages give it a much bolder look than its understated German and Japanese rivals. The S60 is also a bit wider than most of its competitors, which translates into generous shoulder room. 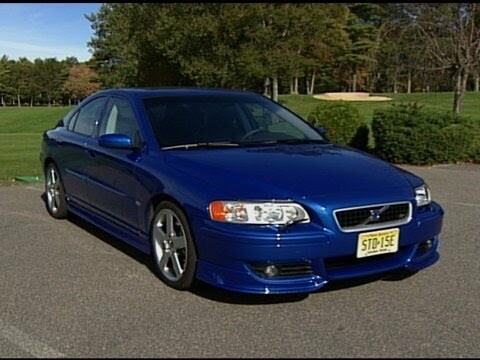 The amazing little super Volvo s60. The struts break down on this car really fast. Over all it is good on gas has heated leather seats, sunroof, it is a safe car. It has small trunk space, the battery is in the trunk. Tilted steering wheel. I have not had many problems with it, just the struts and the ball joints. Nice car. Shop for best price. Comfortable. Great acceleration. Reliable. Bought used but have only had to change oil and fix timing belt. Maintenance expensive requiring synthetic oil and premium gas. Mileage could be better. I have had some issues with cold-weather starting. Nice sound system. It's old and run-down. It's definitely showing Its age. I don't like the color of my car. I also don't like the functioning of the key fob in terms of locking/unlocking my car. The truck is roomy which is convenient. Also the seats are nice and comfy.